Acoustic-rock legend Melissa Etheridge collaborated with the Ovation team to design this extraordinary 6-string signature instrument. 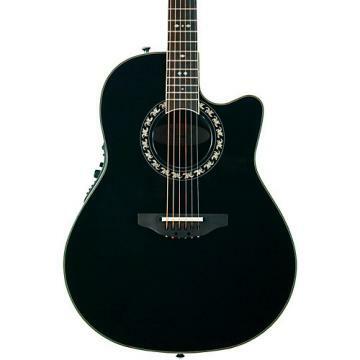 Representing exceptional value, the 2078ME-6P Melissa Etheridge Signature Acoustic-Electric Guitar features a AA solid spruce soundboard with quartersawn Scalloped "X" bracing and a very comfortable super shallow cutaway composite body. Other features include a rosewood fretboard and bridge, bass-side soundports with mother of pearl, and a custom “ME” inlay on the 12th fret. The Melissa Etheridge Signature comes with Ovation’s original high output pickup, and its OP-Pro preamp offers dual XLR and ¼” output jacks that connect to virtually any sound system, stage amp, or recording console. Includes hardshell case. 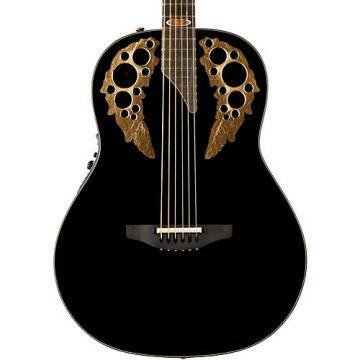 Grab this specially made Ovation. Order today.